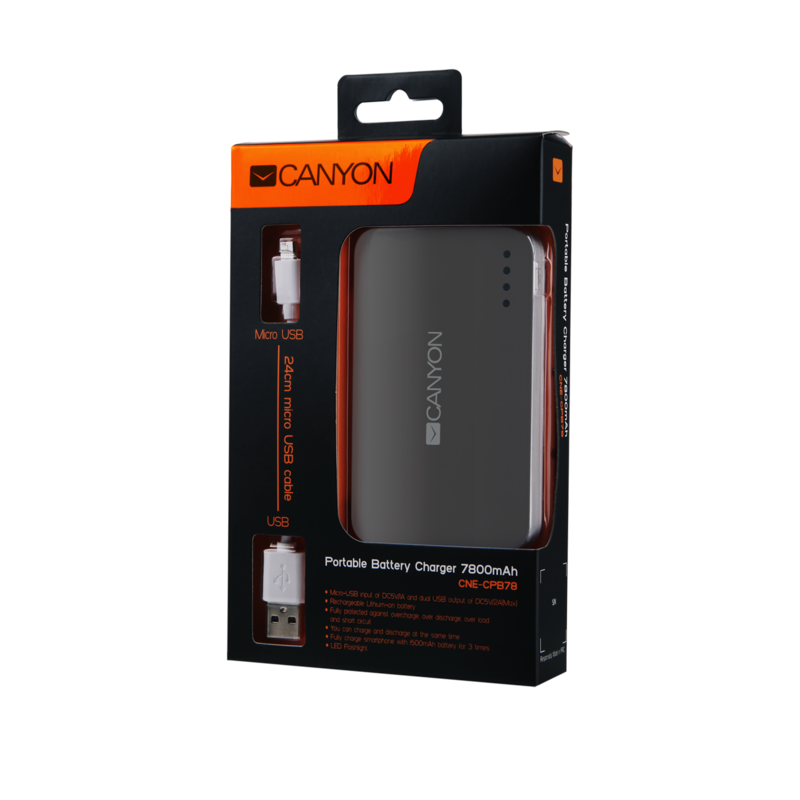 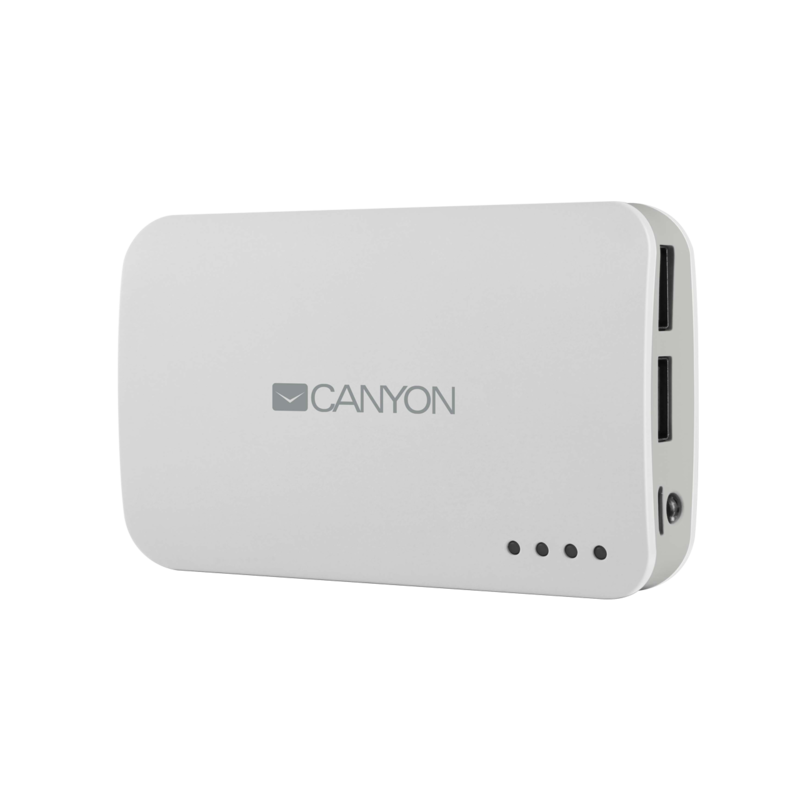 Canyon makes sure your battery won’t run out when you’re on the go. 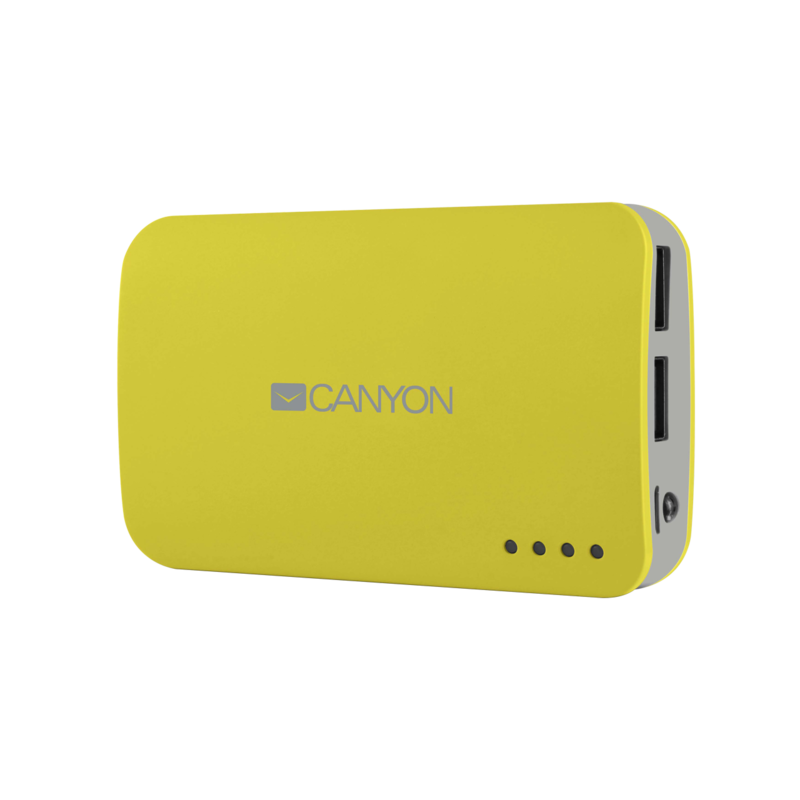 Portable Power Bank 7800mah is the perfect way to charge your cell phone or tablet when you can’t get to a wall outlet. It has the capacity to fully charge a smartphone or tablet. 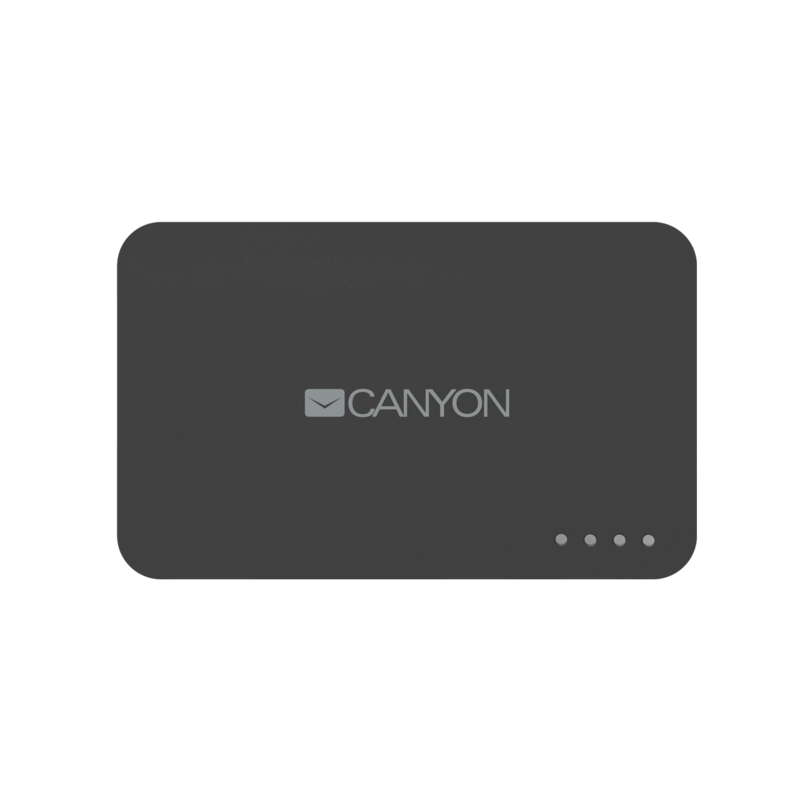 LED indicators let you know how much power is available. 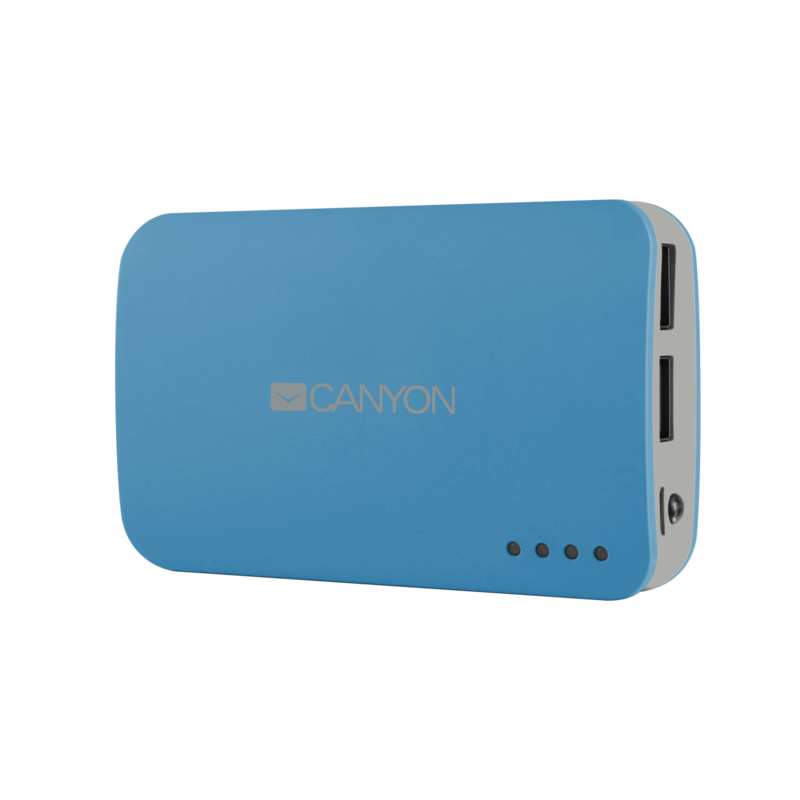 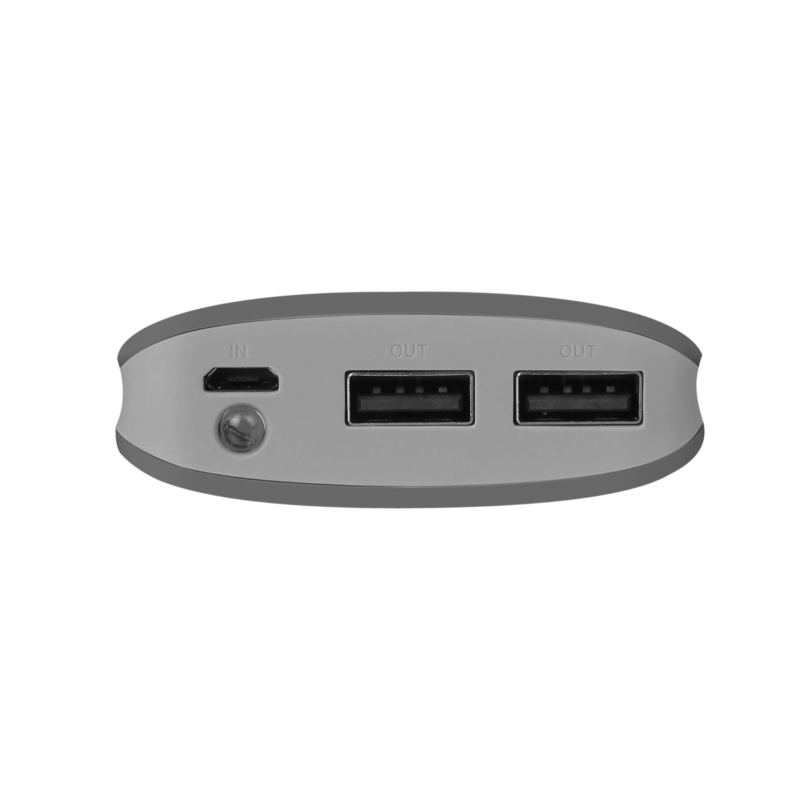 With two USB ports, the Power Bank can recharge two devices simultaneously, without being tethered to an electrical outlet.